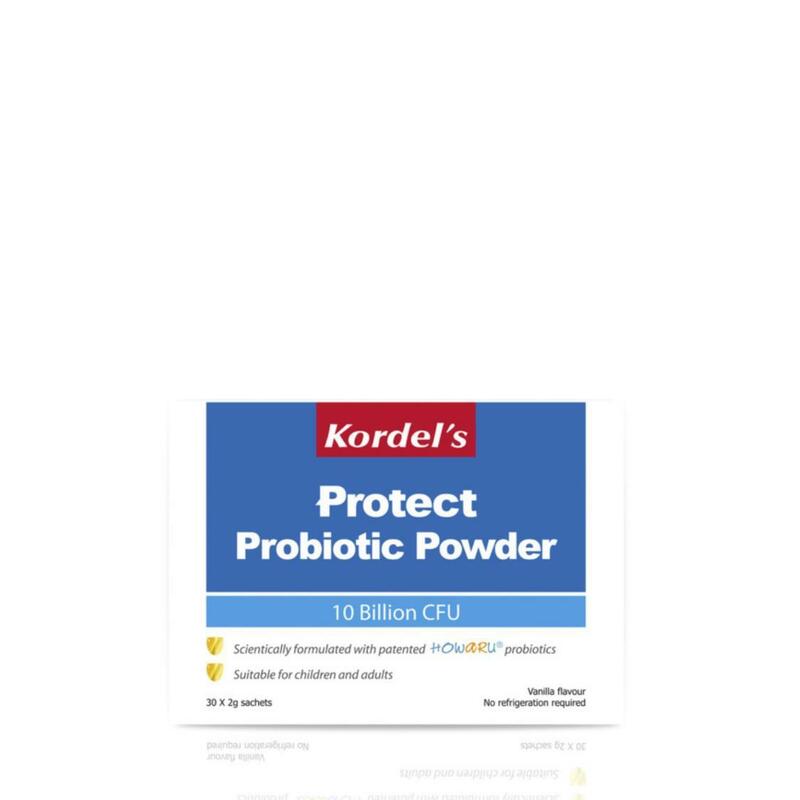 Kordel's Protect Probiotic Powder is made from HOWARU® Protect premium probiotics. HOWARU® Protect contains 2 special strains of probiotic, Lactobacillus acidophilus NCFM® and Bifidobacterium lactis Bi-07, which are safe for consumption. Each strain has its own specific benefit and they work together to support a healthy immune system. - Attaching itself on the lining of an intestine to prevent bad bacteria from colonising and causing infections. - Increasing the sensitivity of our immune system's defence cells to bad bacteria. - Producing bacteriocins, or proteins that prevent the growth of certain bad bacteria. - Inhibiting the growth of some disease-causing fungi and yeast.